A Bronx teenager who has already spent a year in jail has made a tough adult decision: choosing to stay behind bars on Rikers Island and take his case to trial rather than accept a plea deal on a gun charge. Sarah Wallace reports. A Bronx teenager who has already spent a year in jail has made a tough adult decision: choosing to stay behind bars on Rikers Island and take his case to trial rather than accept a plea deal on a gun charge. "I’m not pleading guilty to something I did not do," said 17-year-old Pedro Hernandez. "I’m willing to stay and fight this because I’m innocent." The dilemma: Hernandez, who became an academic standout during his time on Rikers, has been nominated for a college scholarship from a non-profit foundation. He can’t accept it while incarcerated. Hernandez has been housed in the adolescent jail on Rikers since his arrest last July in connection with a 2015 shooting outside a supermarket that left a teenager injured. Hernandez has consistently professed his innocence, but his family has been unable to post the $250,000 bond to get him out. Manuel Gomez, a private investigator hired by the Hernandez family, said he located multiple, independent witnesses who confirmed Hernandez wasn’t the shooter. Some even identified a different teenager as the real gunman. Gomez said he presented all of the evidence to the district attorney's office. The 16-year-old victim in that 2015 shooting, who was hit in the leg, also told the I-team in November that Hernandez wasn’t the gunman. The teen said officers from the 42nd Precinct, and one in particular, David Terrell, had pressured him to falsely implicate Hernandez. Another teen said he was pressured to do the same. In December, the NYPD stripped Terrell, now a detective, of his gun and badge. He remains on modified duty. The Bronx district attorney's office said it is investigating allegations of misconduct against the 42nd Precinct. Meanwhile, the case against Hernandez has been postponed several times. 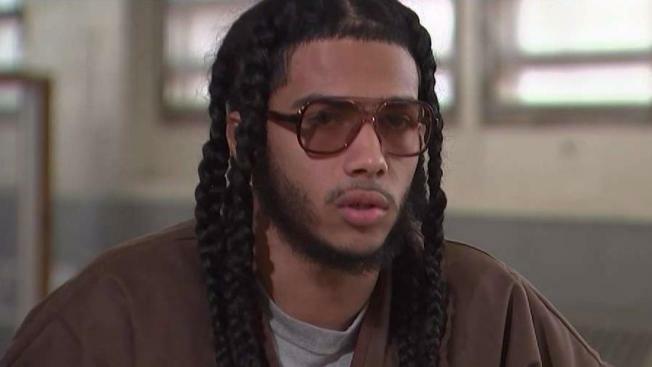 The Bronx district attorney's office recently offered him a plea deal of five years probation, but the young man wants to take his case to trial. A spokesperson said the trial is scheduled to start Wednesday. Hernandez recently earned earned his high school equivalency diploma and received numerous awards of excellence, including the Superintendent’s Special Recognition Award from the city Department of Education's Alternative Schools program.